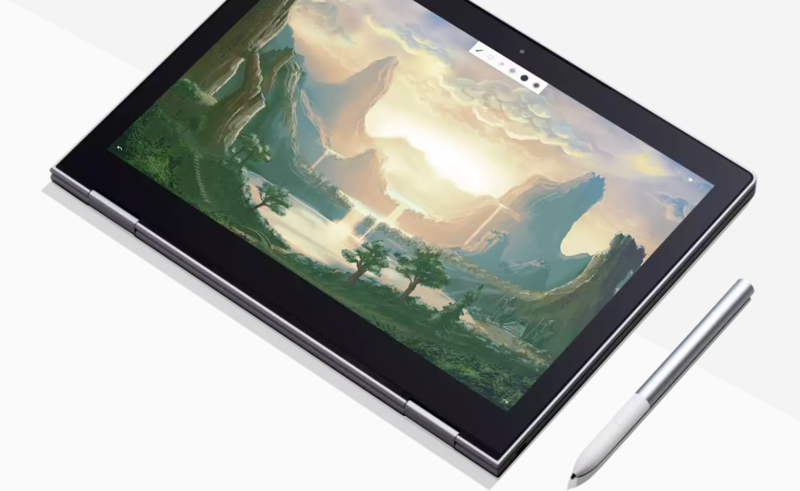 Google is expected to unveil quite a few new pieces of hardware in October: the Pixel 3 and 3 XL handsets, the second-generation Pixel Buds, a Pixel-branded smartwatch, and now an updated PixelBook with narrow bezels is joining the list as well. Sadly, nothing is official yet. This fall promises to be very interesting for the fans of the Google-branded hardware products — if at least some of the rumors turn into reality, of course. In addition to the Google Pixel 3 and Pixel 3 XL, the company also known as "The Big G" is expected to introduce a refreshed Pixelbook with narrow bezels. Obviously, some companions are also expected to arrive alongside these flagship devices. Earlier this week, Evan Blass posted the following on Twitter: "Add to this fall hardware lineup a second-generation Pixelbook, with smaller bezels, scheduled to ship before the end of the year." The fall hardware lineup he mentioned in a message that he had posted back in early May included the Pixel handsets mentioned above, as well as second-generation Pixel Buds, as well as a Pixel-branded smartwatch. Last year's Pixelbook became available in October, right after being announced. Sadly, this was only true for the Intel Core i5-powered models. The high-end model only started to reach customers in January 2018, and this might happen again. In addition to the narrow bezels that everyone should enjoy, the new Pixelbook should also feature new processors and various other updates. If you would like to get something special from this upcoming piece of hardware, let the world know in the comments below. Maybe your wish reaches someone who can turn it into reality, after all.